Colombian striker denies reports linking him with move to Old Trafford. Atletico Madrid’s Radamel Falcao has denied reports linking him with a move to Manchester United according to Sky Sports. The Colombian striker is currently one of the most sought after players in Europe and is set to be at the centre of a transfer battle this summer as a host of top clubs look to secure his services. Reports in recent months have linked the player with the likes of PSG, Real Madrid, Manchester City and Chelsea and it seems almost certain that Falcao will no longer be an Atletico player at the start of next season. Manchester United were the latest club to be linked with Falcao’s signature with reports in recent weeks suggesting that the two clubs were in advanced negotiations for the player. Those rumours have since been rejected by Atletico boss Diego Simeone and Manchester United manager Sir Alex Ferguson but the two clubs are known to enjoy good relations following the sale of David De Gea and that could swing things in United’s favour. Falcao has now weighed in on the matter, insisting that he is staying focused on playing for Atletico. “In recent weeks I have tried to isolate myself and not think about the rumours about my future,” said Falcao. “I do not really know where that information has come from [joining Manchester United], that is part of the press. 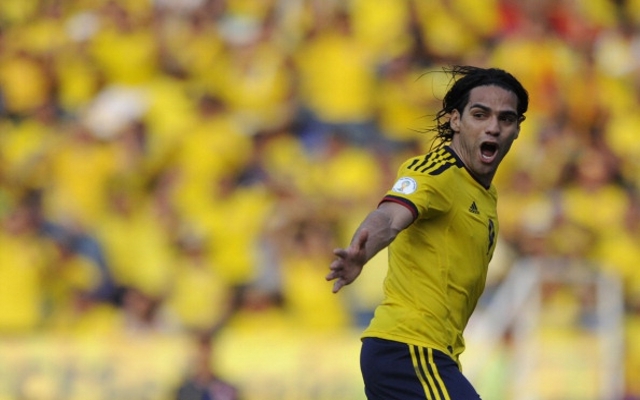 Falcao went on to reveal he is looking forward to playing for Colombia at the World Cup.